Hit points (HP) represent how much damage a hero or object can take. The health bar shows the amount of HP, divided into bars each worth 25. A hero's HP is "low" at 50% and "critical" at 25%. Their location will be shown to all friendly healers. If a hero's HP becomes 35% or lower, a gasp sound effect is played and blood appears around the borders of the screen. The exception to this is 150 HP heroes who get it at 70 HP. Recoverable HP can be healed or recalled. Base HP are recoverable. There are three types: health, armor, and shields. Health is white, armor is gold, and shields are cyan. The most basic form of HP is health. Health is depleted when there are no armor or shields to protect it, and is the first to be replenished when being healed. Some heroes have a special type of HP called armor. For every instance of damage, armor reduces the damage taken by 3; if the damage is less than 6, armor halves the damage instead. As such, armor is extremely effective against attacks that consist of multiple instances of damage, such as shotguns, and is less effective against single instances of damage that are above 6. Even if the armor runs out, as long as there was at least 1 point of armor before taking damage, the damage will be reduced. Armor is the very last damage modifier to be applied. For example, if a fortified Orisa would take 100 damage, Fortify reduces it by 50% and then armor chips away another 3, making the damage 47. If she would take 10 damage, Fortify halves it to 5, and because 5 is less than 6, armor halves it again instead of taking away 3, making the damage 2.5. For beam-type attacks and damage-over-time effects that damage continuously, armor works differently: armor reduces the damage of beams by 20% and does nothing against damage-over-time. Some heroes, barriers, and Symmetra's Teleporter have a special type of HP called shields. On heroes and Symmetra's Teleporter, shields automatically regenerate at a rate of 30 shields per second after avoiding damage for 3 seconds. Similarly, shields on Reinhardt's Barrier Field and Brigitte's Barrier Shield also regenerate at various rates after being inactive for 2 seconds. Since other barriers are constantly active once deployed, their shields do not regenerate. Despite this, all shields share a common feature that they are the only type of HP that EMP can damage and destroy. As the name suggests, non-recoverable HP cannot be healed or recalled. Non-recoverable HP are generated by hero abilities, and are often only temporary. There are currently two types: armor and shields. Non-recoverable armor is orange and non-recoverable shields are indigo. Non-recoverable HP goes on top of recoverable HP. Non-recoverable armor, commonly called temporary armor by the community, reduces damage like regular armor. Non-recoverable shields, commonly called temporary personal shields, or temporary shields, are susceptible to EMP like regular shields. They do not regenerate. When being healed, the priority order is health, then armor, and then shields. When taking damage, the order is shields, then armor, and then health. However, non-recoverable HP is damaged before recoverable HP; therefore, the complete order is non-recoverable HP (shields, then armor), then recoverable HP (shields, then armor, then health). The only exception to this is EMP: since it only damages shields, it bypasses any non-recoverable armor. If there are shields above armor, and an instance of damage destroys the shields and damages the armor, armor will reduce that damage based on how much damage the armor would take. For example, Wrecking Ball has 99 temporary shields from Adaptive Shield and he gets hit by Fire Strike (100 damage). The armor would take 1 damage, a number less than 6, so it reduces the damage by 0.5 instead of 3. Wrecking Ball takes 99.5 damage from the Fire Strike. The bleed effect originally occurred when a hero's HP became 75 or lower. Since this was highly inefficient for Tanks, it was replaced with a more relativistic system. Armor originally subtracted 5 damage and began halving at 10. Armor originally treated the tick rate of beams and damage-over-time effects as "instances" of damage. This resulted in some beam-damage and DoT being halved by armor. However, not all beams/DoT effects have the same tick rate, so how armor interacts with them were unpredictable. The priority order for damage was originally shields (non-recoverable, then recoverable), then armor (non-recoverable, then recoverable), and then health. This meant that the armor provided by Rally would go underneath the shields of heroes such as Zenyatta. The Patch Notes for Patch 1.33.0.1, which issued this change, mentions "non-recoverable health" when listing the new priority order. Currently, such a concept does not exist in the game. Symmetra originally had an ability called Photon Shield which allowed her to create 25 recoverable shields for her teammates. When Symmetra got her first rework, Photon Shield was removed and Shield Generator was added, which gave all surrounding teammates 75 recoverable shields. This too was removed upon Symmetra's second rework. Photon Shield and Shield Generator were the only ways heroes could have recoverable HP that were not found on their base HP. B.O.B. is treated as an additional teammate, so he is affected by abilities that grant non-recoverable HP to allies, such as Sound Barrier and Rally. B.O.B. is the only non-hero that can have additional HP. The term "shields" is often informally used to refer to barriers. Since barriers have shields for their HP, anything that exclusively damages shields also damages barriers. 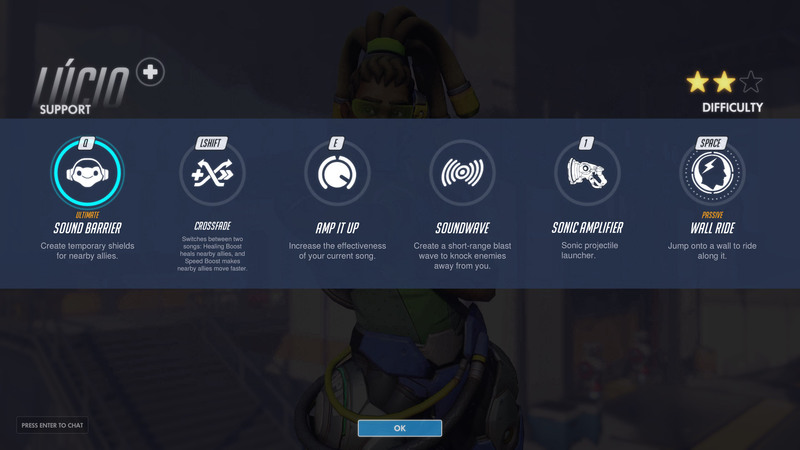 Currently, the only ability that does that is EMP; however, in the beta, Pharah's Concussive Blast used to be able to do 900 damage to shields and barriers.